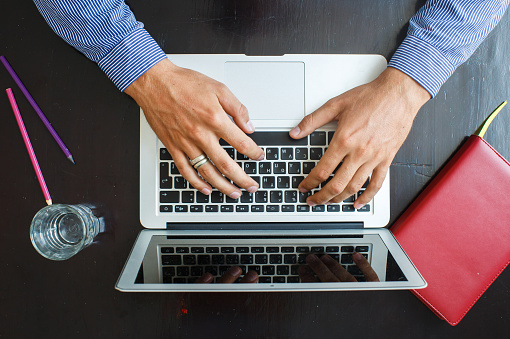 A few simple steps can set your business’s blog apart. Add a call to action like “Call Now” with your phone number at the top of the homepage (and all other pages). Showcase and link to third-party review sites, because that’s what your website visitors want to do next, and you don’t want them hitting the “Back” button to return to Google to find them (thereby tanking your SEO mojo). Set up a blog and post regularly (to make sure Google notices you and ranks you high in their search results). According to our poll during the webcast, 85% of senior care providers already have “Call Now” on their homepage. But most of you still don’t believe us when it comes to consumer reviews. And the most common feedback you gave me at the end of the webinar was that while people got the value of having a blog, they weren’t sure how to set one up, and what to post once they did so. So, for those of you looking for more information, or for those who didn’t get a chance to attend the webinar, here’s my step-by-step blog action plan. Step 1: Sign Up With a Blog Provider. There are a number of good options. We use WordPress. It takes about two minutes to set up an account with them, and then you need to get your website person to set up a sub-domain and link it from your corporate site (like our URL), which takes about 10 minutes. Step 2: Start Writing. About what, you ask? I wouldn’t invest time writing about things like “how to pay for assisted living” because companies like Caring.com, Bankrate (our parent company), and ALFA.org already provide robust content around that, as well as teams of people whose jobs depend on us ranking high for those so-called root terms. And I wouldn’t bother with topics like “signs of dementia” because then you’re competing with The Mayo Clinic and WebMD, who also have teams of experts at their disposal. How about asking partners to guest post for you? A smart GCM might be happy to do this, in exchange for a link to her own website. Step 3: Market Your Blog. Don’t forget this step, it’s important. Cross-post to your blog from your Facebook page to drive traffic to your blog (plus, you’re probably looking for content there, too). Put a link to your blog in your email footer. Request links to relevant blog posts from the local companies and partners you write about. All these things signal to search engines that you’ve got great content with which people are engaged, which then causes your site to rank higher. Have other ideas? Tweet them to me @CaringKatie. For more of Hendrik’s great suggestions, here’s the recording of our webinar. He’s also offering a free Cyber Guide analysis of Caring.com partner company web sites. Click here for more information. And for a great summary of the webinar, check out this article in Home Health Care News. This article was written when Katie Roper was Vice President of Sales & Marketing at Caring.com. She's now a contributing author on this blog, as principal at Catenary Consulting. I cherish what youve got to say and the way you say it.